Barr & Stroud Sahara 10x50 FMC WP Roof Prism Binocular 10x50 Barr & Stroud Sahara binoculars are the most popular format for astronomy and these waterproof, rugged binoculars are simply awesome. The binocular delivers a powerful 10x magnification. The 10 x 50 Sahara from Barr & Stroud feature rugged construction combined with brilliant optics. Bright images and high contrast will deliver outstanding views of the Moon revealing craters, mountains and rills. 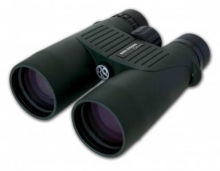 Barr & Stroud Sahara 10x50 binocular features roof prism design make it an perfect all round performer with very good light gathering ability. The binocular focuses down to just under 2.5m making it ideal for naturalists and birdwatchers alike.